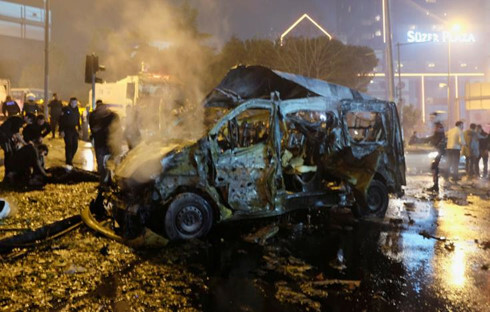 100000 Iraqis may flee Mosul for Syria, Turkey: U.N.
First a car bomb exploded outside the Vodafone Arena, home to Istanbul's Besiktas soccer team, leaving flaming wreckage on the street. Forty-five seconds later, a suspect wearing explosives detonated them while surrounded by police in an adjacent park, Deputy Prime Minister Numan Kurtulmus told a news conference. 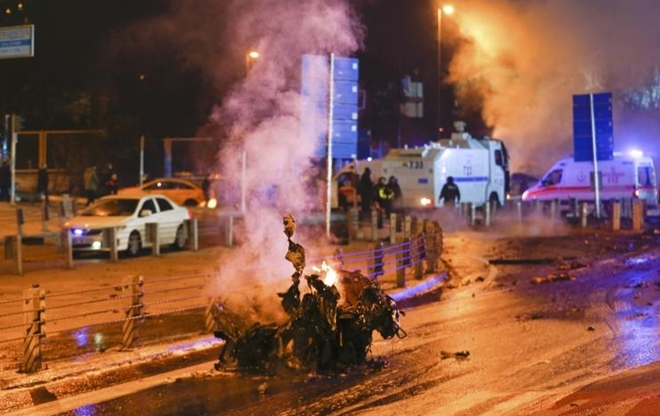 President Tayyip Erdogan described the blasts as a terrorist attack on police and civilians. He said the aim of the bombings, two hours after the end of a match attended by thousands of people, had been to cause the maximum number of casualties. "Nobody should doubt that with God's will, we as a country and a nation will overcome terror, terrorist organisations ... and the forces behind them," he said in a statement. 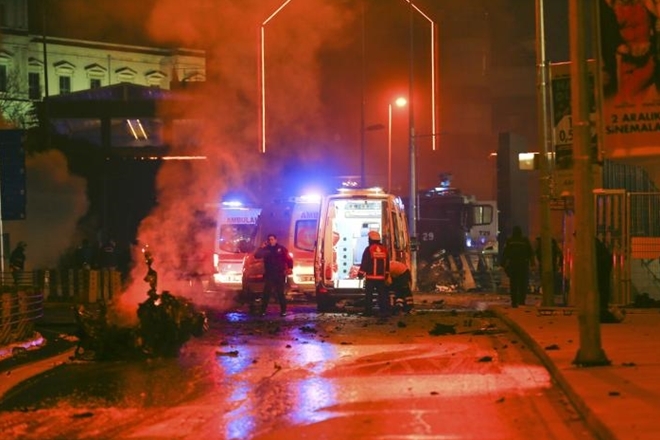 The attack shook a soccer-mad nation still trying to recover from a series of deadly bombings this year in cities including Istanbul and the capital Ankara, some blamed on the Islamic State jihadist group and others claimed by Kurdish militants. There was no immediate claim of responsibility. But the blasts came less than a week after Islamic State urged its supporters to target Turkey's "security, military, economic and media establishment". Turkey is a member of the NATO military alliance and part of the U.S.-led coalition against Islamic State. It launched a military incursion into Syria in August against the radical Islamist group. It is also fighting a Kurdish militant insurgency in its own southeast. 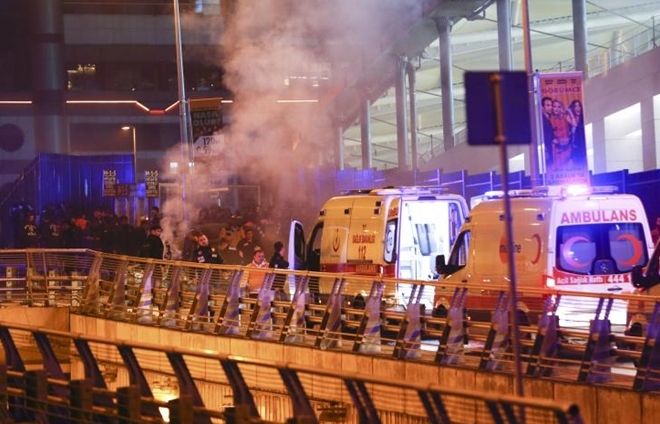 Interior Minister Suleyman Soylu said the first explosion, which came around two hours after the end of the match between Besiktas and Bursaspor, was at an assembly point for riot police officers. The second came as police surrounded the suicide bomber in the nearby Macka park. Two of those killed in the blasts were civilians. The other 27 were police officers, including a police chief and another senior officer, Soylu said. He said 17 of the wounded were undergoing surgery and another six were in intensive care. Soylu also said 10 people had been detained based on evidence from the detonated vehicle, but gave no indication of who the authorities thought might be behind the attack.